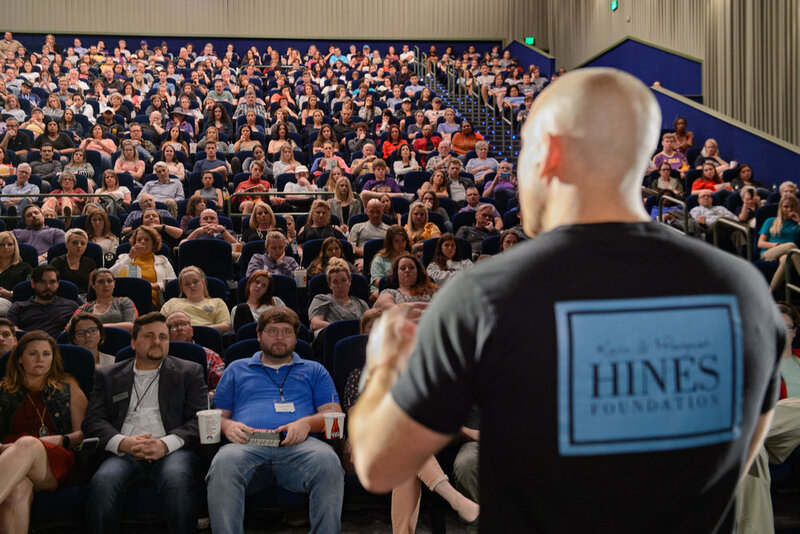 Kevin Hines is a storyteller at heart. He is a best selling author, global public speaker, and award winning documentary filmmaker. In the Year 2000, Kevin attempted to take his life by jumping off the Golden Gate Bridge. Many factors contributed to his miraculous survival including a sea lion which kept him afloat until the Coast Guard arrived. Kevin now travels the world sharing his story of hope, healing, and recovery while teaching people of all ages the art of wellness & the ability to survive pain with true resilience. Currently, Kevin is in pre-production of his new Docu Series The Journey, and is working on a comic book version of his life in cosmic & supernatural form called Hope Dealers. His fight has been long and arduous, but he is determined to remain committed to life until its natural end. His motto: #BeHereTomorrow and every day after that. He is one of only thirty-six (less than 1%) to survive the fall and he is the only Golden Gate Bridge jump survivor who is actively spreading the message of living mentally healthy around the globe. Kevin sits on the boards of the International Bipolar Foundation (IBPF), the Bridge Rail Foundation (BRF) and the Mental Health Association of San Francisco (MHASF) and on the Survivors Committee of the National Suicide Prevention Lifeline. Previously, he was a board member of the Northern California Chapter of the American Foundation for Suicide Prevention (AFSP) and was a two-term member of San Francisco’s Mental Health Board. He has spoken in congressional hearings alongside Patrick Kennedy in support of The Mental Health Parity Bill. He continues his policy work as an Ambassador to the National Council for Behavioral Health. In the summer of 2013, Kevin released his bestselling memoir titled Cracked Not Broken, Surviving and Thriving After A Suicide Attempt. He is currently producing a documentary entitled Suicide: The Ripple Effect. Kevin’s will to live and stay mentally well has inspired people worldwide. His compelling story has touched diverse, global audiences within colleges and universities, high schools, corporations, clergy, military, clinicians, health and medical communities, law enforcement organizations, and various industries. Thousands have communicated to Hines that his story helped save their lives. He has reached millions with his story. His story was featured in the 2006 film The Bridge by the film director and producer Eric Steel. His documentary "Suicide: The Ripple Effect" is now available to view via the Theatrical On Demand platform. Learn more about the film here.